This fall, research on the micro-health insurance system in Kuwdé, Togo, conducted by Michaela Domaratzky and Sean Roget during their 2014 DukeEngage experience was published by Columbia College for The International Undergraduate Journal for Service-Learning, Leadership, and Social Change. 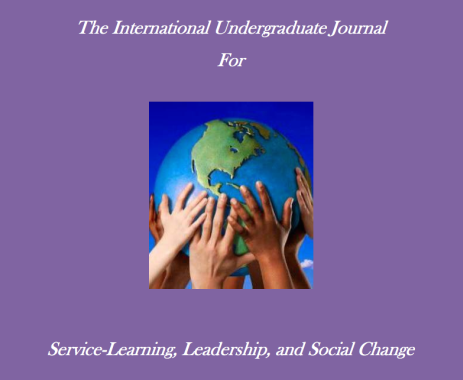 The journal highlights undergraduate efforts to impact and improve communities both within the U.S. and internationally. Domaratzky and Roget spent their time in Togo evaluating the efficacy of the health insurance system offered in a rural Northern Togolese village, and their research has since contributed to the progressing welfare of its members. The health clinic available to the people of Kuwdé, called the Casa de Santé (CDS), is a state-run facility and near-exclusive provider of health insurance within the community. Treating malaria, minor illness, and injuries, and operating as a birthing center, the CDS is an essential resource for those living in the impoverished village. Yet the health insurance system is scarcely taken advantage of. The mission of this DukeEngage project was to encourage the use of the the system by correcting people’s misperceptions surrounding it. To do this, Domaratzky and Roget analyzed patient data at the CDS for a two-month period and used it to explore trends and calculate the financial benefits for families within the system. Uninsured families were also given the opportunity to understand how much they were losing by excluding themselves from the health care system, ultimately encouraging more families to become insured by the CDS. In addition to mathematical analysis, the pair also conducted interviews with families, received guidance from CDS medical assistants, and reviewed patients’ economic history at the CDS. Domaratzky concluded her time in Kuwdé by addressing key points and clarifying common misconceptions at a village meeting, during which she used families’ real data samples to illustrate the benefits of joining the system. The meeting was effective in providing the people of Kuwdé clear evidence encouraging the use of the CDS health care system, eventually causing the number of insured families to triple following the DukeEngage team’s departure. The lasting impact of the work done by this DukeEngage duo has since been recognized by Columbia College as an influential service-learning endeavor, whose efforts to improve the lives of the Togolese will continue through communication with the CDS medical assistants to track the system’s progress, and the persisting emphasis on the possible savings available to insured families.